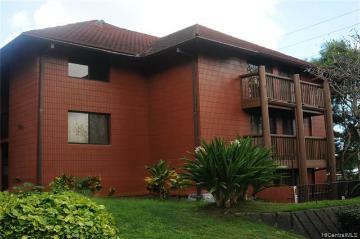 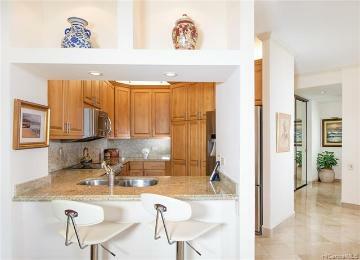 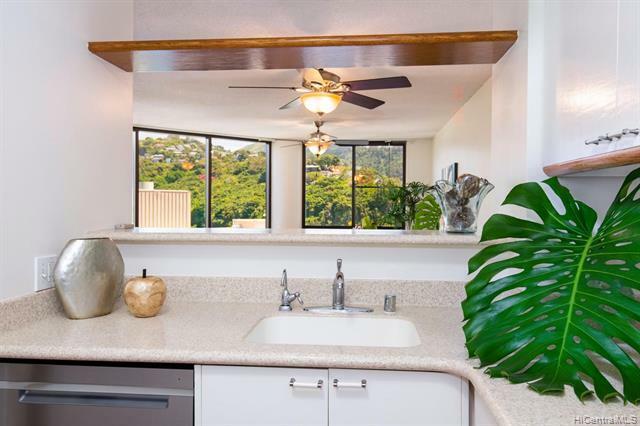 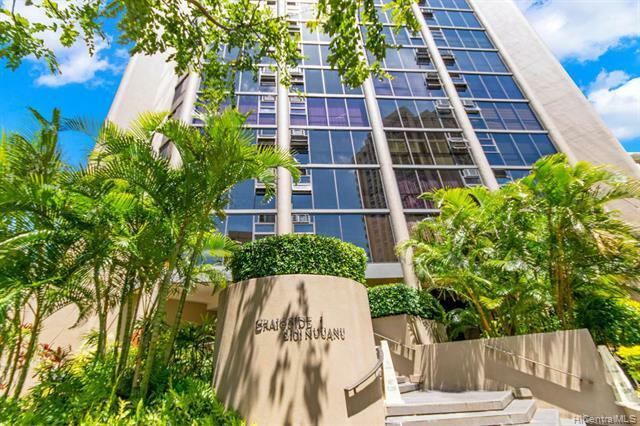 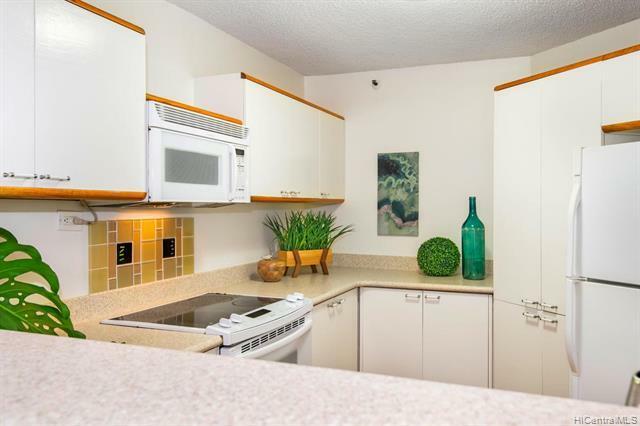 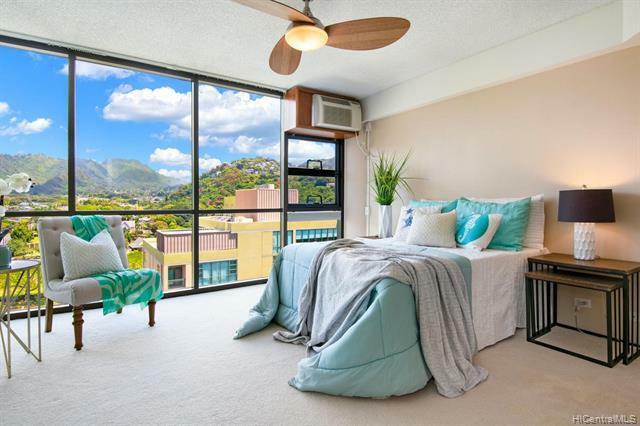 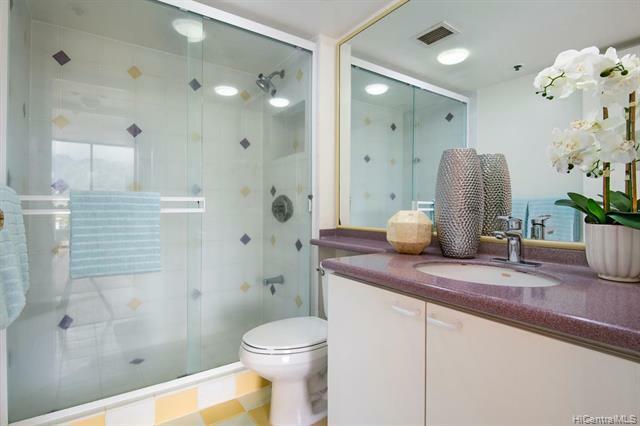 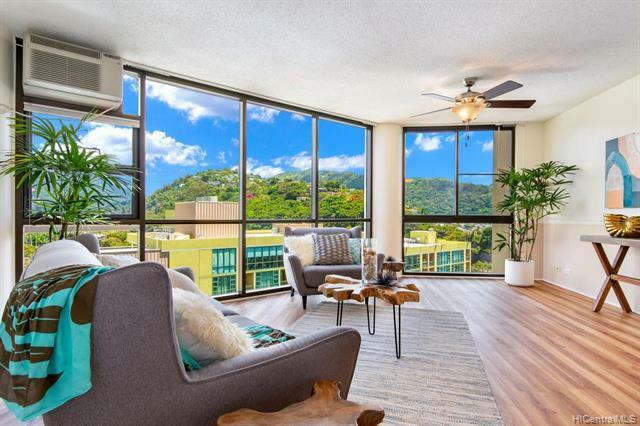 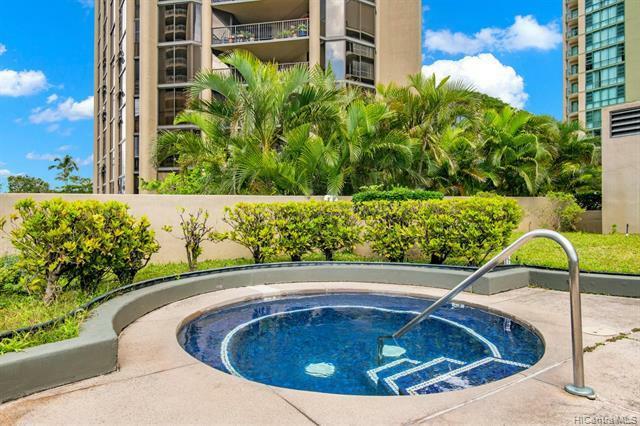 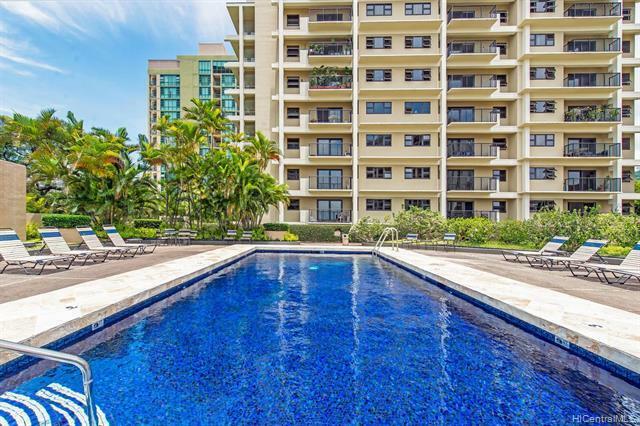 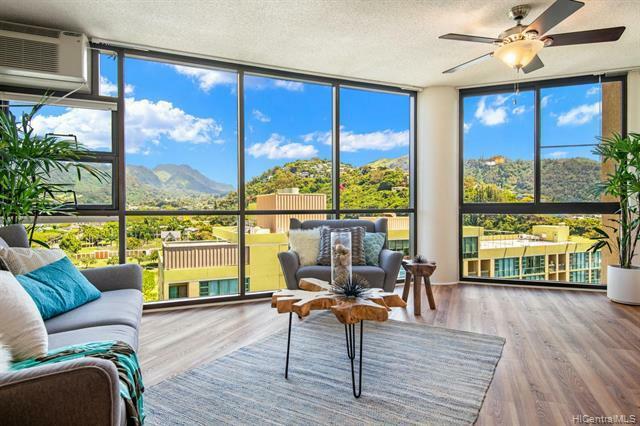 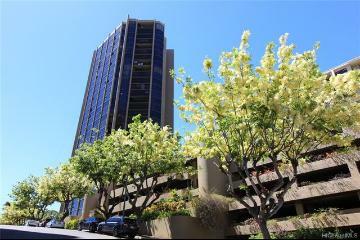 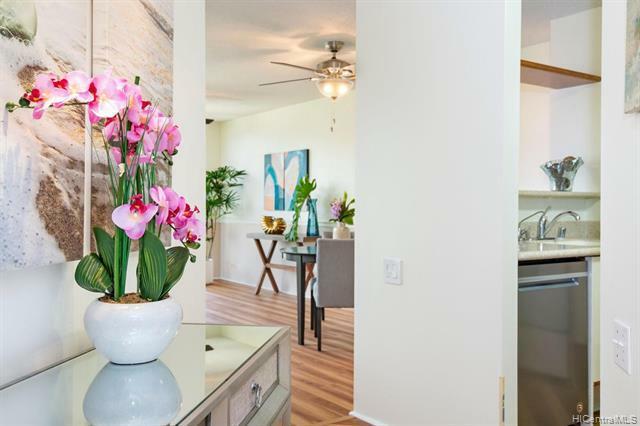 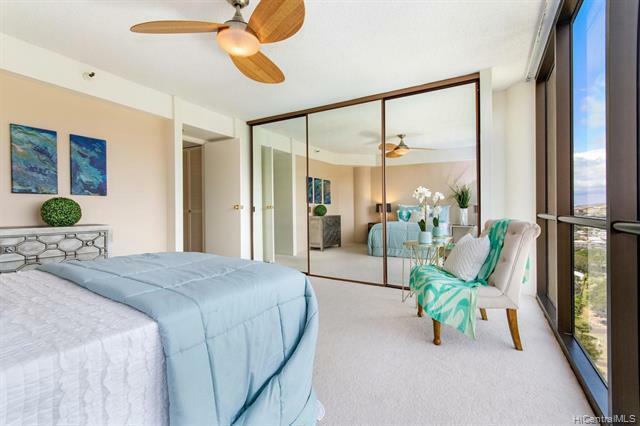 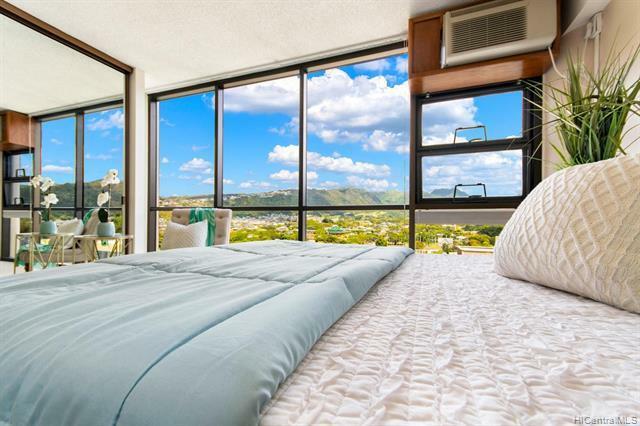 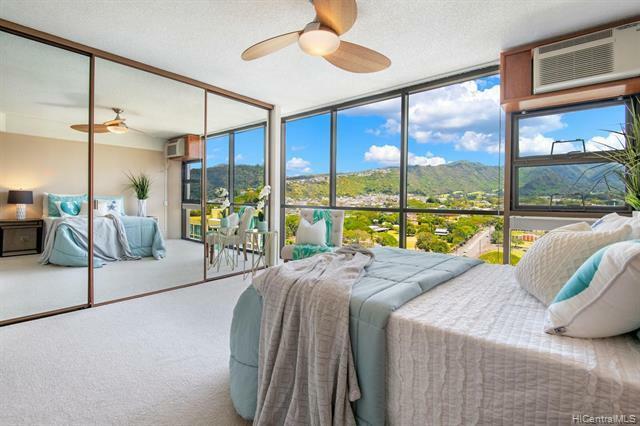 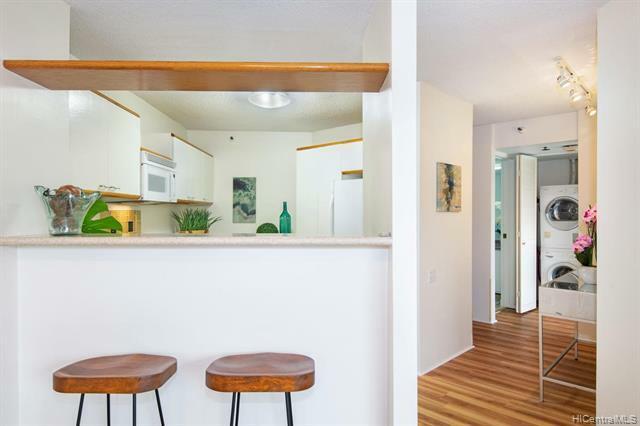 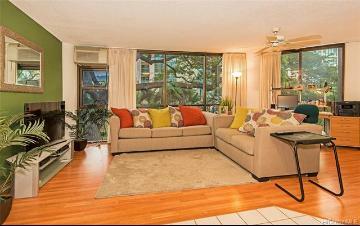 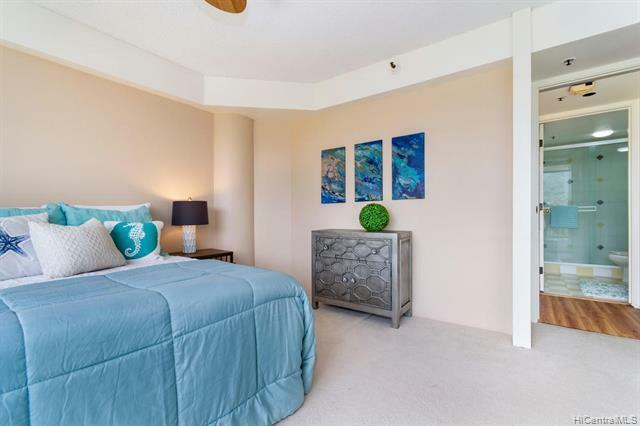 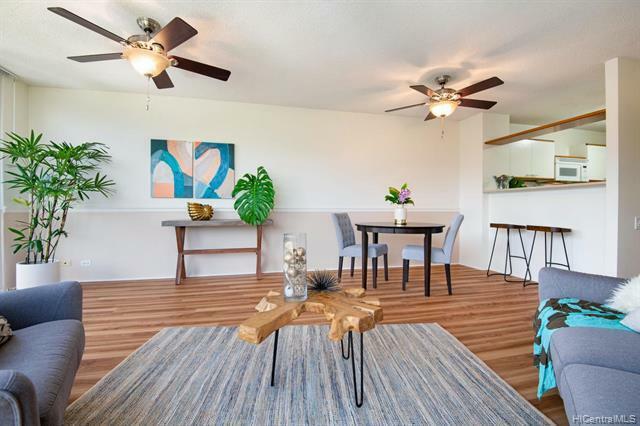 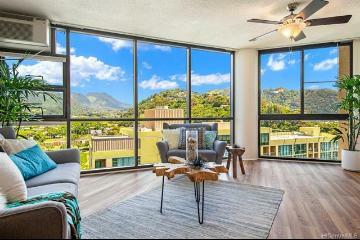 Higher floor unit with beautiful mauka views on the cool side of the building! 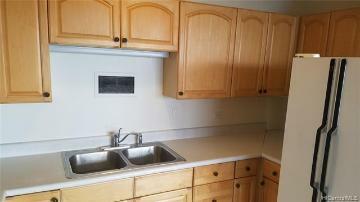 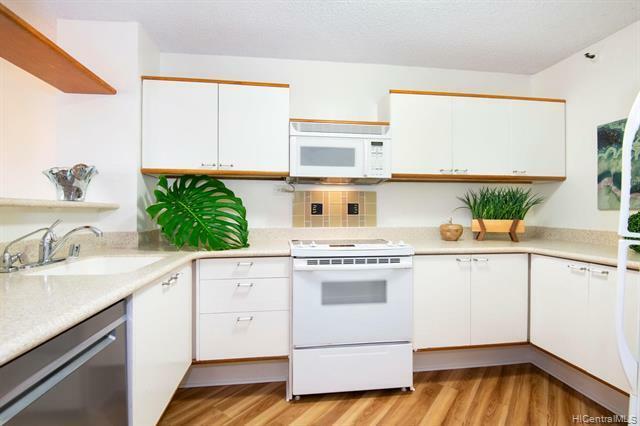 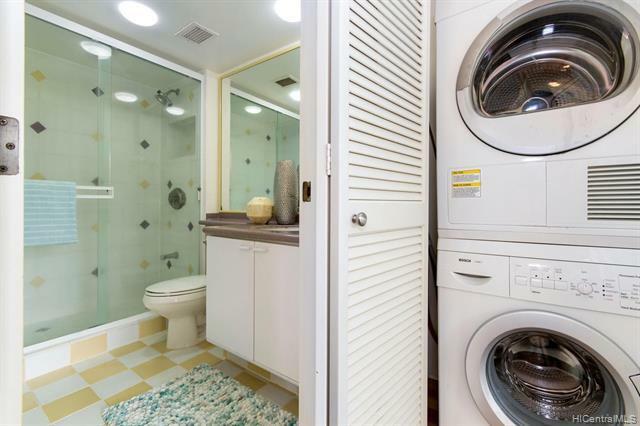 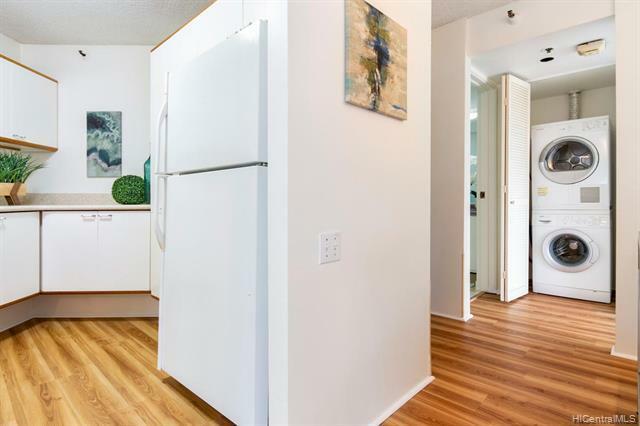 This is a rare corner/end unit with brand new AC units, flooring, and dishwasher. 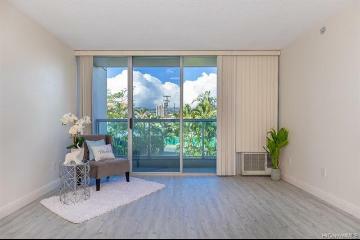 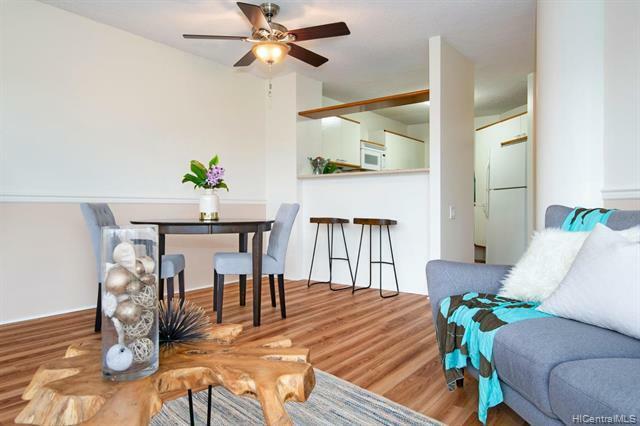 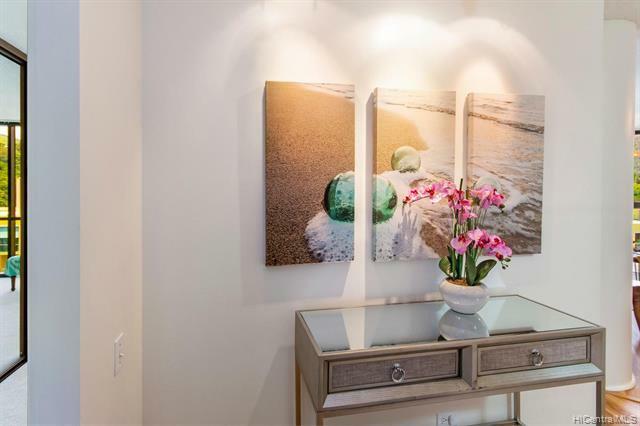 You will enjoy the brightness and greenery let in by the floor to ceiling windows and the nice open layout of this unit. 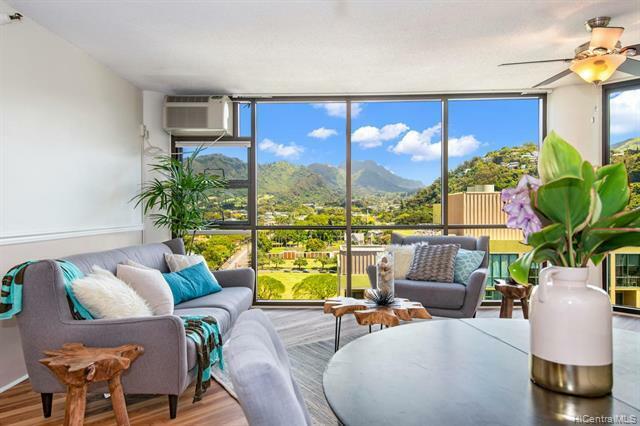 Craigside feels like a tucked away oasis even though you are just above town. 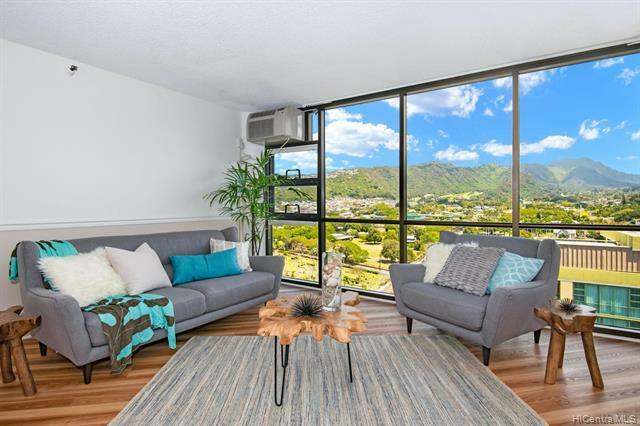 With a super convenient location just down the road from freeway access and all that Nuuanu has to offer, it also affords great amenities! 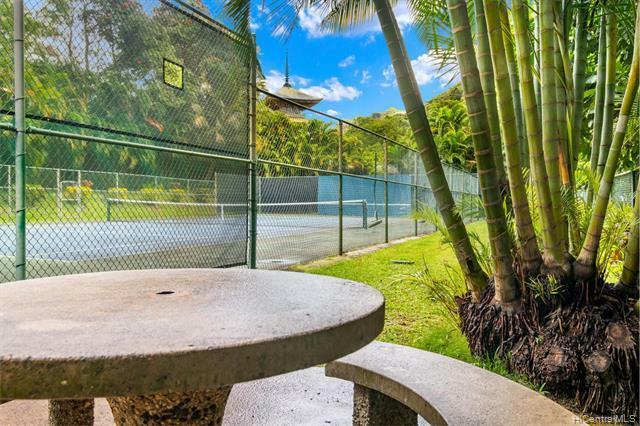 The building boasts 2 pools, BBQ areas, tennis court, a nice little park for walks with a loved one or pet, and great security. 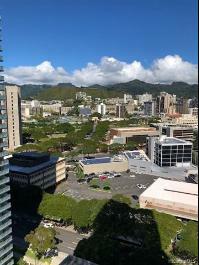 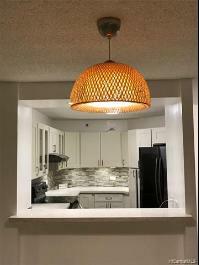 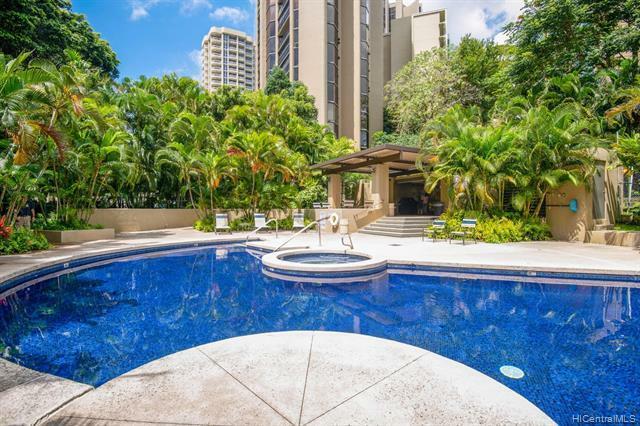 2101 Nuuanu Avenue, I1807, Honolulu, HI.